As Scouts, we prepare young people with skills for life. We encourage young people to do more, learn more and be more. Each week, we help over 460,000 young people aged 6-18 enjoy fun and adventure while developing the skills they need to succeed, now and in the future. We’re talking about teamwork, leadership and resilience – skills that have helped Scouts become everything from teachers and social workers to astronauts and Olympians. We help young people develop and improve key life skills. We believe in bringing people together. We celebrate diversity and stand against intolerance. We’re part of a worldwide movement, creating stronger communities and inspiring positive futures. Find out more in our brand guidelines.  17% more likely to be able to work well in teams.  Scouts are 32% more likely to be physically active than young people who don’t take part in Scouting. There are now 638,827 Scouts in the UK.2 This should be rounded to ‘There are now 640,000 Scouts in the UK’. This is the key membership figure to quote. 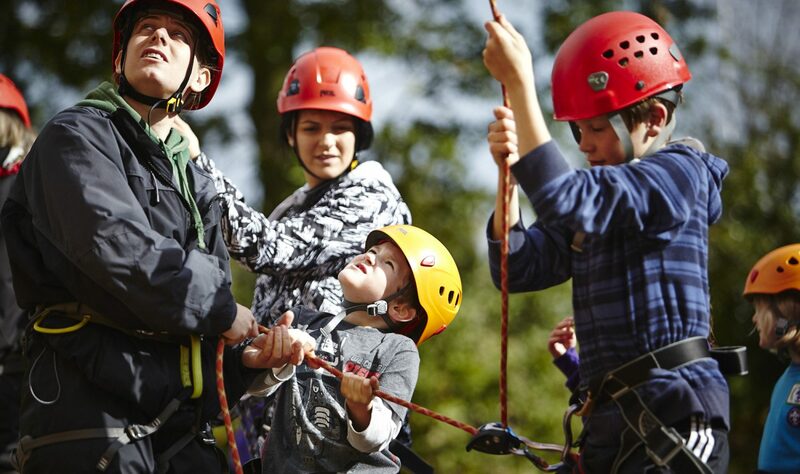 We have 461,598 young people aged 6-18 in the Scouts. This should be rounded to ‘There are now 460,000 young people aged 6-18 in the Scouts.’3 There are 475,294 young people aged 6-25 in the Scouts and our youth membership has grown for thirteen years in a row. We now have 163,533 adult volunteers in the Scouts.4 This should be rounded to ‘There are over 160,000 adult volunteers in the Scouts’.  We have 75,137 female adult volunteers7 (46% of our total adult membership). This should be rounded to ‘Nearly half our adult volunteers are female’. Scouting’s UK youth membership has grown for the last thirteen years in a row!  Cub Scouts is our most popular section with 158,722 members.  Since 2013 we have opened 834 sections in areas of deprivation and we continue to extend our reach with work supported by the Pears Foundation.  Scouting is represented at Pride events across the country each year.  Over 240,378 YouShape badges have been earned since 2016.  22,000 Scouts have been trained as Dementia Friends. Scouting began on 1 August 1907 with an experimental camp for 20 young people on Brownsea Island. The camp was held on 1-7 August 1907. The first official Scout camp was held at Humshaugh from 22 August to 4 September 1908.  We celebrate Founder’s Day on 22 February, Robert Baden-Powell’s birthday.  Bear was appointed tenth Chief Scout on 11 July 2009, taking over from ninth Chief Scout, Peter Duncan.  Bear Grylls was the UK’s youngest ever Chief Scout.  On 16 May 1998, at the age of 23, he reached the summit of Mount Everest.  Bear has visited tens of thousands of Scouts around the UK during his regular ‘Bear in the Air’ events, championing skills and character education. Our team of Scout Ambassadors help raise the national profile of Scouting. They are: astronaut, Major Tim Peake, TV presenter, author and naturalist Steve Backshall; Olympic rower, Helen Glover; survivalist Megan Hine, DJ and presenter Chris Evans, Paralympic swimmer Ellie Simmonds; TV presenter, Anita Rani; polar explorer Dwayne Fields, adventurer Ed Stafford, TV presenter Julia Bradbury and actor/director, Warwick Davis. These ambassadors are specifically tasked with increasing the national profile of Scouting.